FALLS CHURCH, Va., Feb. 26, 2013 -- In an ongoing effort to help teachers develop the next generation of scientists, Northrop Grumman Corporation (NYSE:NOC) and Conservation International (CI) announced today that they are accepting applications for the 2013 ECO Classroom program and extending the entry deadline to March 31. Four teams of four teachers will be selected for an all-expenses-paid trip to Costa Rica this summer to join scientists doing field work in a tropical forest. Applications are now being accepted for the next trip taking place this summer. To learn more about the program or to apply to participate, visit the website . 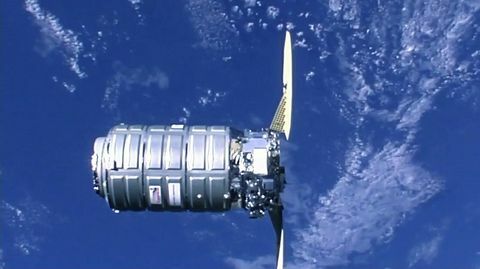 As a unique and innovative nationwide professional development program designed for public middle and high school science teachers, ECO Classroom was created by the Northrop Grumman Foundation in collaboration with the nonprofit development organization Conservation International (CI). The program offers teachers supplemental tools and real-world experiences that inspire students to pursue science and technical careers. 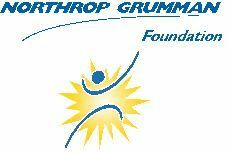 "We were thrilled with the first class of ECO Classroom educators and look forward to the 2013 program," said Sandra Evers-Manly, president of the Northrop Grumman Foundation. "We look to build on last year's success by expanding professional development opportunities for educators and making real-world science connections with students in their classrooms." The ECO Classroom program brings groups of public school teachers from across the United States âto CI's Tropical Ecology Assessment and Monitoring (TEAM) Network ( http://www.teamnetwork.org/en/about ) Volcan Barva site in La Selva Biological Station and Braulio Carrillo National Park in Costa Rica, where they participate in field data collection on plant and animal biodiversity, climate and land use using TEAM scientific protocols. "What better way to inspire teachers to be passionate about ecology and environmental science than to take them to a tropical forest?" asked Sandy Andelman, Senior Vice President of Conservation International. 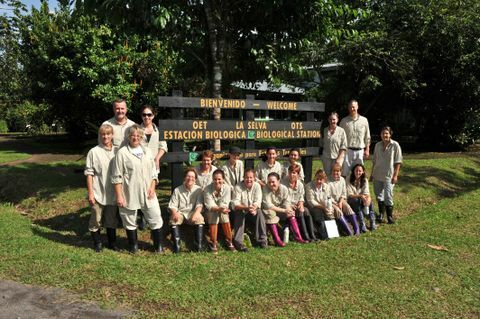 "Building on last year's success, we're excited to bring our second team of teachers to the site in Costa Rica to become part of the TEAM group, using cutting-edge technology to study how climate change is affecting tropical forests," she added. It is widely acknowledged among educators and policymakers that insufficient numbers of students are entering into science, technology, engineering and mathematics fields. One way to address this issue and emphasize environmental stewardship is to motivate educators to engage students in the sciences and to bring unique learning opportunities into their classrooms with real-world curricula and hands-on experiences such as ECO Classroom. 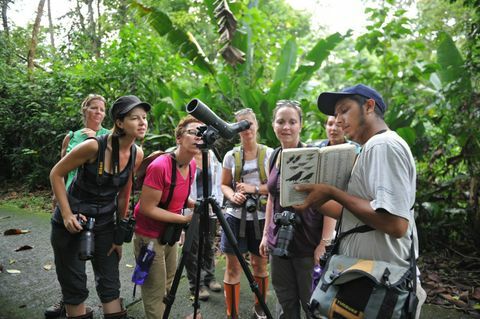 During last year's inaugural two-week expedition, 16 ECO Classroom teachers from across the United States conducted group projects in the field and created lessons based on their projects dealing with land use, forest carbon sequestration, geographic information system mapping and natural resource management using TEAM scientific protocols. They then returned to their schools with an in-depth understanding of the interrelationship between biodiversity, climate change and human activities, and were better equipped with new techniques and resources to enhance their classroom teaching. "There is nothing like personal experiences to help to improve the teaching of your subject," said Beth Platt, a science teacher from Smithtown, N.Y., who was part of ECO Classroom 2012. "I also developed a wonderful support group with colleagues in other parts of the country with whom I can share ideas and lesson plans. I think that all of the participants have grown as educators and as scientists, and both of these things will benefit our students for years to come." Building upon a strong foundation of science, partnership and field demonstration, CI empowers societies to responsibly and sustainably care for nature, our global biodiversity, for the long term well-being of people. Founded in 1987, CI is headquartered in the Washington, D.C., area and employs more than 800 staff in nearly 30 countries on four continents and works with more than 1,000 partners around the world.Â For more information, please see www.conservation.org , or visit us on Facebook or Twitter .